My grandsons Joey and Oliver joined me this afternoon in watching a new release at the movie theater. Neither boy had high energy today, after experiencing a full week, and rather than skating or playing at House of Bounce, they opted to watch a movie. 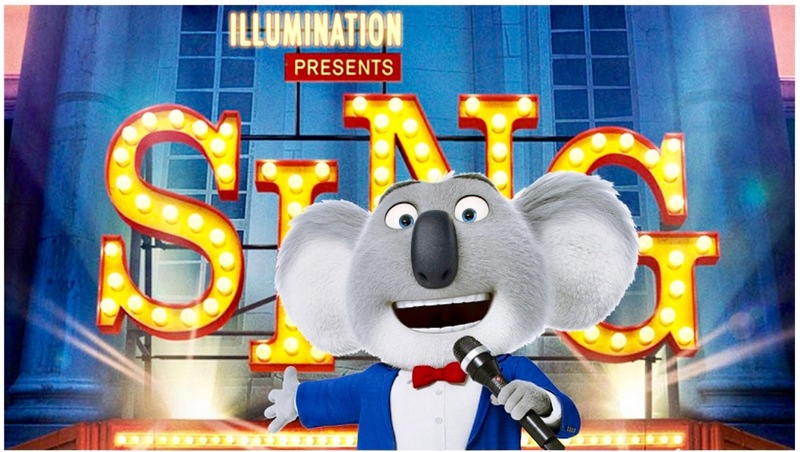 We had seen trailers for Sing and all of us agreed we wanted to check out this animated film. 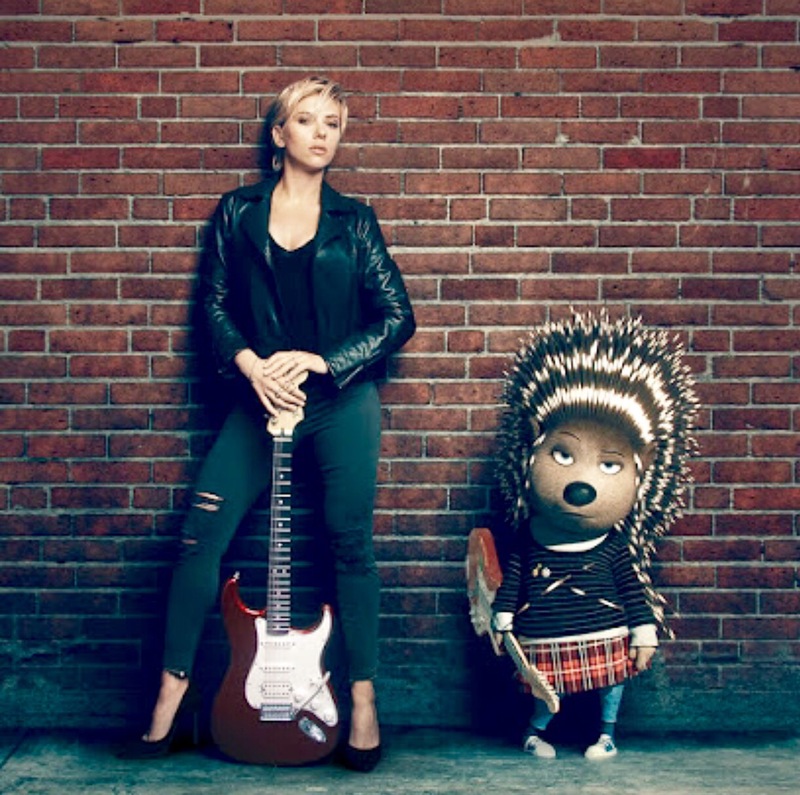 Sing features the voices of Matthew McConaughey, Seth McFarlane, Reese Witherspoon, Tori Kelly, Taron Egerton, Nick Kroll, Garth Jennings and Scarlett Johansson. 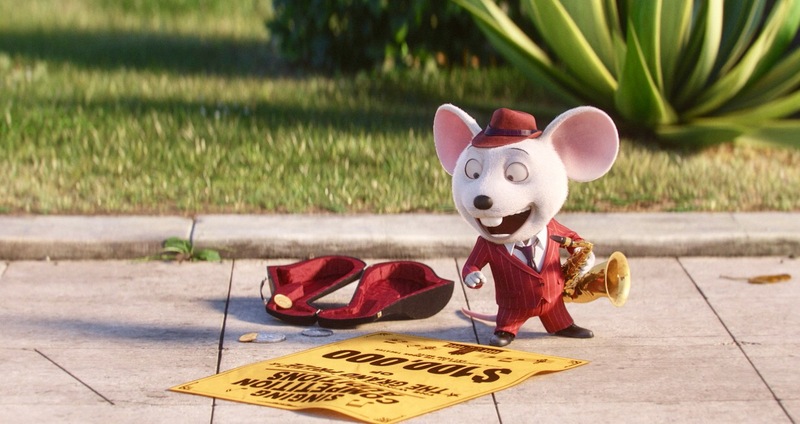 This newest animation from Illumination was directed by Christophe Lourdelet. The movie is rated PG for some rude humor and has a run time of 1 hour and 48 minutes. 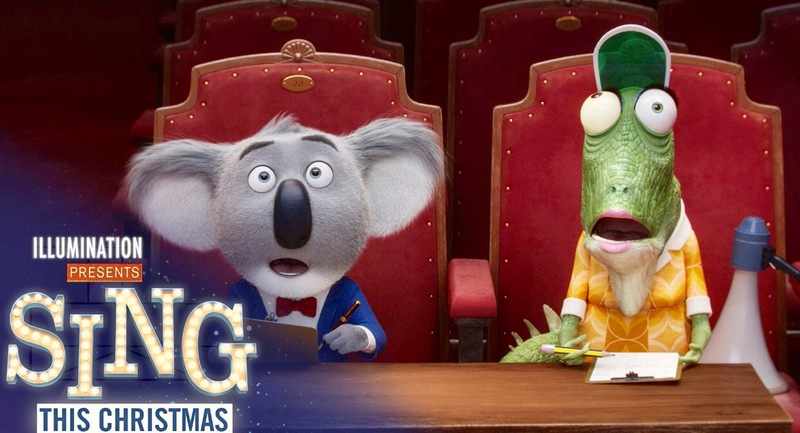 Buster Moon (McConaughey), an optimistic koala bear, is the owner of a theater that he has loved since he was six years old. His father worked hard so that Buster could purchase the aging building. However, years of lackluster productions has tarnished the theater’s glory and brought Buster to the brink of financial ruin. 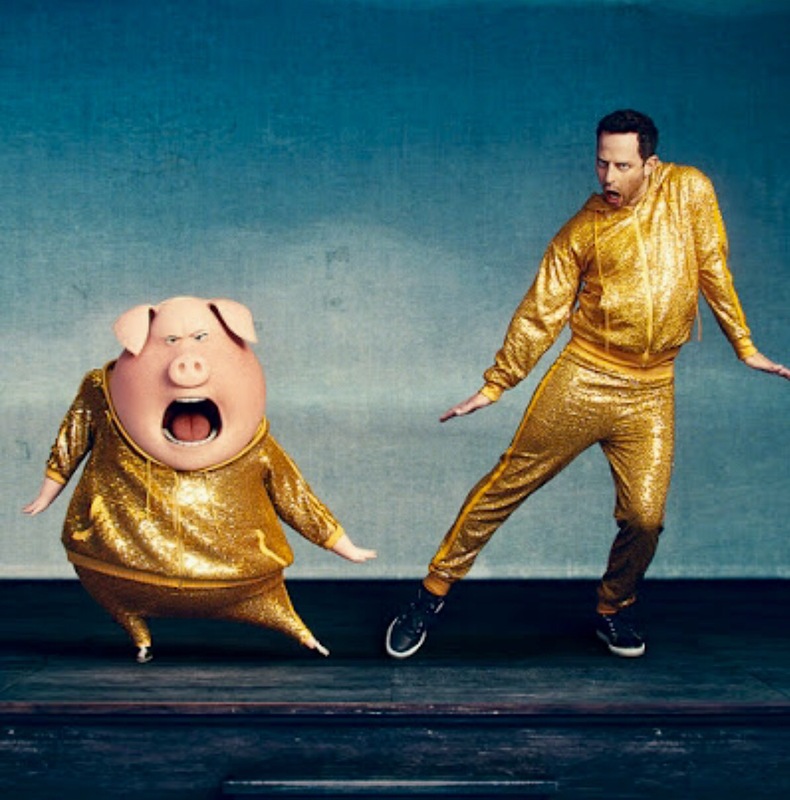 In an attempt to save his crumbling theater, and his crumbling life, Buster stakes all he has on one grand, final show…a singing competition, with a monetary award. Buster’s ancient assistant, Mrs. Crawly (Jennings), inadvertently changes the prize amount from $1,000 to $100,000…and suddenly there’s a long line of eager participants ready to audition. Buster narrows the competition down to a handful of singers: overwhelmed mom Rosita (Witherspoon), who is paired up with the flashy, more outgoing Gunter (Kroll), Mike (McFarlane) the smallest competitor with the big voice, Johnny (Egerton) the soulful teen who is hoping for a better life, Ash (Johansson), the porcupine who is discovering she has the voice and the talent to go solo, and shy Meena (Kelly) who can sing beautifully…when she is alone. While each participant has the ability to win the singing competition, each also has struggles to overcome, to best share his or her gift with the world. And although Buster is excited about the talent before him, and the prospect of an amazing show that could revitalize the theater, he resorts to desperate scheming to come up with the prize money. Who will win? How will Buster honor what he has promised? Or are there bigger rewards that come as the participants follow their passions…and sing? 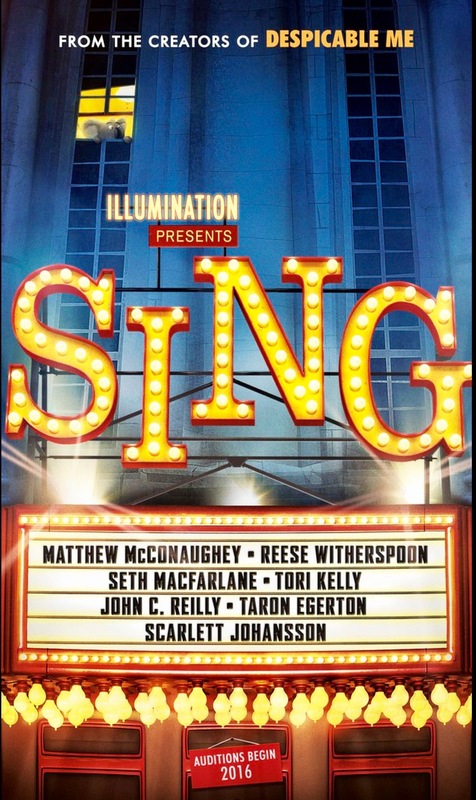 This was an entertaining film with plenty of humor, a great selection of more than 85 songs, and important life lessons. I watched Joey and Oliver occasionally, as they sat with eyes on the huge screen, smiles flitting across their earnest faces. With all the music contained within the movie, I wondered if the boys would enjoy the story. I need not have wondered. They payed close attention, laughing over the funny lines and sight gags, often sitting very straight, on the edge of their seats. I deeply appreciate films, animated or live action, where transformation and growth occurs as the characters journey. 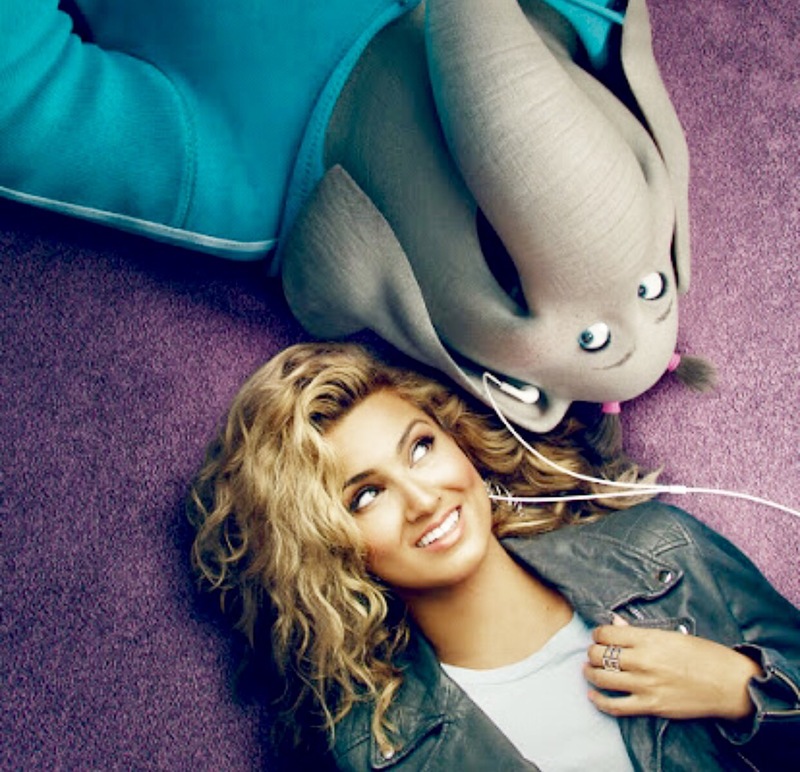 Sing captures the transformation of its characters as they try and fail, or move past their fears, or discover who they are and what they can do. And captures it very well with a story that flows beautifully. At the end of the movie, the large audience in the theater clapped. 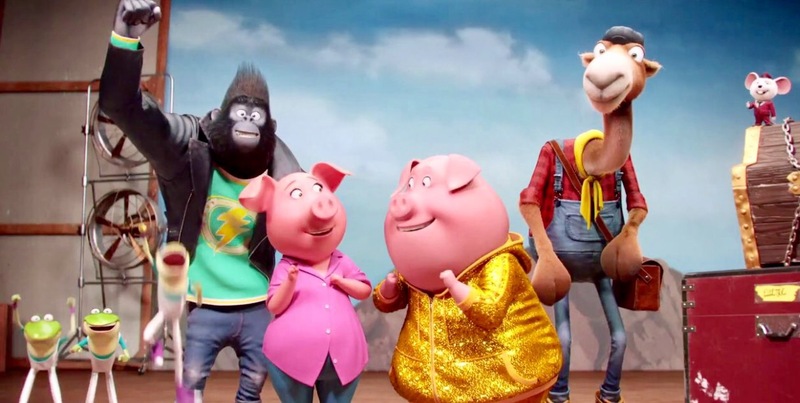 There is much to like about Sing, not the least of which is that the film is the latest offering from the creators of Despicable Me, and features a clip of the Minions singing about Illumination. This was a great movie to discuss with the boys. I appreciated their insights and thoughts and we had a good chat about what happens when we do the things we love to do. Joey, Oliver and I give Sing three thumbs up!